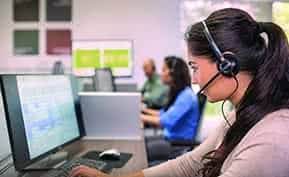 The belief that call centers are a thing of the past is incorrect — call centers remain a crucial component of a successful customer service strategy. 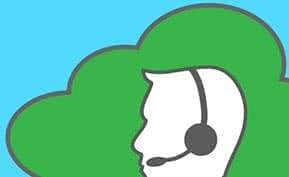 Though online customer support systems and community forums are rising in popularity, the call center continues to prove its value as a customer service portal. In fact, Forrester data found that live assist interactions using voice have higher satisfaction ratings than web self-service interactions, making call centers and features of call center technology more valuable than their online counterparts in terms of customer satisfaction. In 2013, 62 percent of global consumers switched service providers as a result of poor customer service experiences, making it increasingly important that businesses provide a satisfying customer service experience. A company’s call center serves as a lifeline to the outside world, helping companies build and maintain good relations with their customers. However, call centers can be overwhelming when you have to simultaneously delegate, monitor, answer and make calls. Mismanaged call centers are often notorious for long wait times and upset customers, something that all businesses hope to avoid. However, with the aid of reliable and effective call center solutions, companies can expedite the calling process and drive customer satisfaction. Call center solutions have evolved with the times, now equipped with an arsenal of features that assist in making the modern day call center as efficient as possible. Whether you’re searching for an inbound, outbound or virtual call center software solution, there are some key features of call center software that are important across the board. If you’ve experienced the frustration of being connected to one or more unhelpful call center agents, you’ll understand why automatic call distribution is such a valuable call center feature. ACD ensures that customers are connected to the best agent, reducing the number of transferred calls and optimizing your staff’s time. It isn’t uncommon that a customer and representative are paired up, only to find out that the customer needs IT help, though he or she has been paired up with a sales representative. This not only decreases customer satisfaction but also wastes time. ACD, if included in the features of your call center solution, assists in making call center operations seamless and efficient. AVOXI’s virtual call center software, Smart Queue, offers many great features that companies should look for in a call center solution. Among these features are automatic call distribution and cost-effective scalability, which will save your company money while still keeping your customers happy. Call centers have experienced an upward trend of using IVR to help mitigate the stress of manually answering and distributing calls. With high numbers of inbound and outbound calls to handle, call centers can easily become overwhelmed. It can become especially difficult to maintain reasonable wait times when there are a lot of calls in the queue. IVR decreases wait times by taking and automating routine inquiries. By allowing customers to interact directly with the system, your company saves time and money eliminating the middleman. For example, callers who want to put in requests for simple tasks such as accessing invoices, balances and account information can do so without tying up call center agents. CallFire’s call center solution features customizable IVR solutions that can be tailored to the needs of your company. Their solution also supports both inbound and outbound IVR and painlessly transfers information from the IVR system to the user. Performance monitoring and analytical features of call center solutions play important roles in maintaining efficient call centers. Along with monitoring and recording capabilities, a call center solution that is equipped with performance monitoring can track and report call analytics, informing you of any issues that need to be addressed. Performance monitoring can expedite the problem-solving process by providing valuable insights and detecting problematic areas before issues have increased in severity. In addition to resolving problems quickly, performance monitoring also allows you to determine what areas are doing well, making it possible for you to enhance or encourage more of the same behavior. Genesys’ Customer Experience Platform comes equipped with advanced analytics and reporting to supplement their workforce and quality management tools, providing you with all of the features you need to ensure that your call center is running smoothly. Though the phrase “call center” doesn’t often include online interactions, the more robust call center solutions are equipped with email and instant chat capabilities. In fact, many solutions feature a VoIP (voice-over IP) option that allows call center agents to interact with customers voice to voice over the internet. Multi-channel support features of call center solutions allow agents to not only provide a personalized exchange over the telephone, but can also accommodate the more tech savvy consumers that feel most comfortable using other modes of communication. Salesforce.com’s Service Cloud contains a comprehensive set of features that call centers need. It is easily integrable with a wide array of CTI systems and provides cross-channel service, allowing you to offer multiple modes of communication to your customers. Your call center serves a vital role in fostering good relations between your company and its customers, so it makes sense that your call center solution seamlessly integrates with your existing CRM systems. CRM integrations are popular features of call center solutions, as they enable your representatives to make calls quickly and efficiently. Integration with existing CRM systems will also allow your call center agents to painlessly access client data when needed. Customers are frequently put on hold as call agents attempt to sift through information. While your agents are trying to find the information they need, your customers are often sitting there, twiddling their thumbs and growing increasingly impatient. CRM integration enables call center agents to pull customer information more quickly, saving both the customer and your company time. Five9’s Virtual Contact Center Platform solution integrates seamlessly with CRM systems, with over 600 customers that have successfully deployed their CRM integrations. Their solution also comes equipped with ACD, IVR and multi-channel support, making their platform a great solution for your call center needs. Want more on Call Center Solutions? Discover and learn more about call center software by exploring blog posts, white papers and more on our call center resource page. For comparisons of the best IVR solutions, download Business-Software.com’s Top 10 Call Center Solutions report. Jessica is a former Business-Software.com intern who focused on gamification trends involving new feature developments, software platforms and implementation strategies.